The Secretariat of the Union for the Mediterranean (UfM) and the Managing Authority of the ENI (European Neighbourhood Instrument) CBC Med Programme have signed a Memorandum of Understanding to promote economic and social development and to address common environmental challenges in the Mediterranean region by strengthening the impact of regional projects and capitalization activities. Barcelona, 10 April 2019. The UfM Secretariat and the Managing Authority of the ENI CBC Med Programme signed a strategic cooperation agreement today during the visit of Christian Danielsson, Director General for Neighbourhood and Enlargement Negotiations of the European Commission, to the UfM headquarters, in Barcelona. The agreement aims to promote economic and social development and to address common environmental challenges in the Mediterranean region by strengthening the impact of regional projects and capitalization activities. It was signed by the UfM Secretary General, Nasser Kamel, and the Director General of the ENI CBC Med Managing Authority, Anna Maria Catte. The ENI CBC Med Programme and the UfM Secretariat are two privileged frameworks for consolidating institutional, economic, social and cultural relations in the region. They both share a common mission of strengthening regional cooperation and integration between the two sides of the Mediterranean. ““I am glad to formalize today this partnership between the UfM Secretariat and the ENI CBC Med Programme, which will allow us to build upon the existing synergies to foster a more competitive, innovative, inclusive and sustainable region”, said UfM Secretary General Nasser Kamel. He particularly stressed the importance of coordinating with relevant EU programmes and initiatives in the Mediterranean region. “The Memorandum allows us to start a closer cooperation between our respective institutions, as the common challenges we are addressing in the region, ranging from the empowerment of young people and women to business development and climate change, require joint efforts and better coordination”, added Anna Maria Catte, the Director General of the ENI CBC Med Managing Authority. She highlighted that the agreement has been strongly supported by the participating countries in the Programme as a contribution to enhanced Euro-Mediterranean relations. Christian Danielsson, Director General for Neighbourhood and Enlargement Negotiations of the European Commission, underlined: “It is with great satisfaction that I witness today how a unique Euro-Mediterranean organisation such as the Secretariat of the Union for the Mediterranean, and the ENI CBC Med, both strongly supported by the EU, are formalising their partnership. The signature of this MoU will contribute to reinforcing and enhancing effective cooperation in the region”. The Union for the Mediterranean (UfM) is the intergovernmental Euro-Mediterranean organisation that brings together all 28 countries of the European Union and 15 countries from the Southern and Eastern Mediterranean. The UfM provides a forum to enhance regional cooperation and dialogue, as well as the implementation of concrete projects and initiatives with tangible impact on the citizens, with an emphasis on young people, in order to address the three strategic objectives of the region: stability, human development and integration. The Secretariat of the Union for the Mediterranean is the platform to operationalise decisions taken by the Member States, implementing strategic regional projects through a specific methodology based on dynamic multi-partner networks and the exchange of best practices and innovative tools: more than 50 regional projects labelled by the Member States worth over €5 billion, mainly in the areas of inclusive growth, youth employability, women empowerment, student mobility, sustainable urban development and climate action. 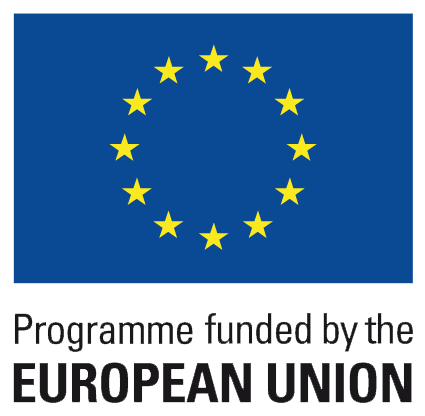 The ENI CBC Med Programme is the largest initiative implemented by the EU under the cross-border cooperation (CBC) of the European Neighbourhood Initiative (ENI). ENI CBC Med together 14 participating countries: Algeria, Cyprus, Egypt, France, Greece, Israel, Italy, Jordan, Lebanon, Malta, Palestine, Portugal, Spain, Tunisia. The Programme has a budget of €209 million dedicated to the financing of Euro-Mediterranean cooperation projects in the fields of business and SMEs development, technological transfer and innovation; social inclusion and fight against poverty; environment and climate change. The Programme is managed by the Autonomous Region of Sardinia (Italy) as appointed by the participating countries.